Here’s a case for you: Today seems like a normal working day for you. Suddenly, one of your bosses handed out the responsibility for you to manage a marketing project. Or, here’s another case for you: You are a small business owner who needs to work on your first major project from an important client. Whichever your case is, whenever you are facing similar challenge, you might feel in doubt; you might be not sure whether you can take on such responsibility. Well, no worries – because today I will show you a project management guide which will give you some idea of what you should do – and expect – when you are working on any projects. Before you plan on anything, you need to understand what kind of project you are dealing with. Why? It’s because not all projects are having the same level of complexity and resource requirements. Once you gain understanding on the scale of the project you will work on, please proceed to step #2. I strongly recommend you to use software in helping you manage your project. 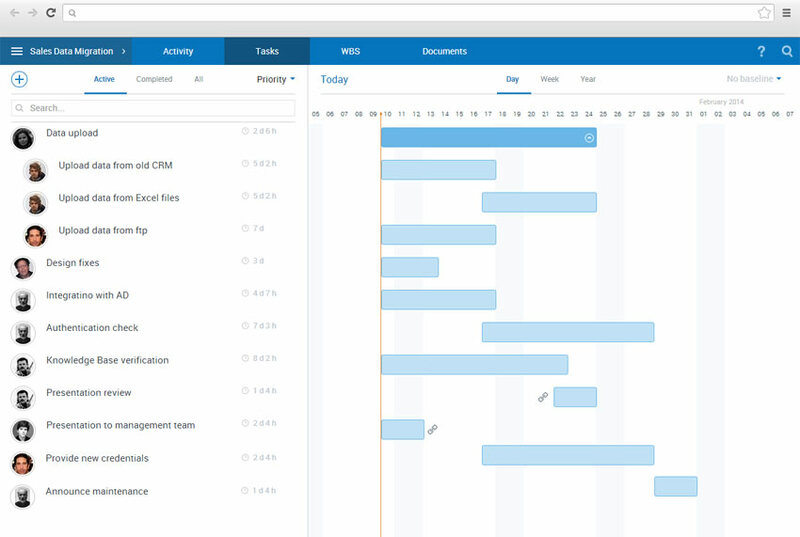 With a project management software you can relieve some tasks, such as calculations, task linking, etc. to the system whilst you can focus on what’s important: Assigning tasks and overseeing project progress. Project management software like Comindware Project for project planning can help you automate almost all steps in project management, starting from initiating to closing. I recommend you to start using the tool early on – and stick with it throughout the project – because it will cut the hassle out of your project management, such as resource allocation and setting up priorities. You and your team need to be on the same page since day one. So, make sure that you clarify the reason the project is needed and what is expected to achieve with the project. You also need to talk with your team about what’s required to make the project run smoothly. With that being said, you also need to set objectives to be met. If you are not sure about what you should do with a particular objective, plan for it, anyway. Do expect that there will be some alteration in the projects – so be ready with the options. The above seems a lengthy and boring process, but trust me, research shows that most projects – big or small – without a proper plan will eventually fail. At this stage, it’s important for you to use the right set of tools which can help you from start to finish. You will need to set up a road map. If you use Comindware Project, you can break down complex project into tasks and activities – all done with intuitive visual tool. You also need to prioritize your tasks – so you need to define priorities. Again, using Comindware Project, you can do so via a drag-and-drop interface. Resource allocation, task linking and other calculations are done by the software. When the road map is set, you need to schedule the actual project, which can be done using a Gantt chart. A Gantt chart can help you in illustrating a project schedule, from start to finish dates. It can also show you inter-dependencies between tasks and will give you the big picture of the project. Manual creation or using a stand alone software can help you but if you choose to use a project management software like Comindware Project, you will have the ability to create one from the platform. Again, using a simple interface with automatic resource allocation and task linking. Now, as everything has been initiated, let’s get down to business! Ideally, what you need to do is to oversee everything to keep your team members are doing their tasks well, and to see whether the tasks are on track in term of quality and completion time. You need to be sure that your communication channel with your team members is wide open, as mis-communication will cause a stall on the project. Using Comindware Project, you can get live reports on what’s going on with the project. Also using the collaboration feature embedded, you can communicate with your team members with minimal risks of losing any conversations; it’s better than your typical email conversations! As I mentioned above, please note that you should expect changes to your initial plan is required to keep your project progressing well. Be sure you and your team are responsive to the changes. Remember, don’t trap yourself in resource allocation game. Comindware Project automatic resource allocation can help you implement changes as you see fit, without worrying about the resources and linking tasks. It can also help you monitor communication, maintain project records and – on top of all – managing change well. At this step your project is completed, or at least nearly completed – congratulations! You’ve managed to do your responsibility as a project manager really well. But wait – there is one final step you need to do: Project finalization. Project finalization – or project closure – involves project deliveries, project evaluation, and creating a library or knowledge base containing the action plans so that you can replicate – or at least learn from – the previous project planning. Project deliveries involve delivering the completed projects, including all documentation and reports. Project evaluation involves reviewing the projects – what the team has achieved – and brainstorming for recommendations on how future projects can be done better. So, there you go – a complete noob guide to project management. Please note that you might want to do differently. That’s completely fine – please treat what I outlined above as a quick guide from which you can develop your own steps which can make you and your team more efficient and effective. Also note that in the steps above I use Comindware Project as an example, simply because I’m most familiar with the software. You can, of course, use other tools of your choice. If you need more resource, please consider reading this insightful Project Management Guide. Good luck in your project management journey!